Fantasies like The Lord of the Rings seem to have cornered the market on “multi-species worlds”: on worlds peopled by dwarves, elves, goblins, and other not-quite-humans. Yet history has a claim on the multi-species world too. Or rather prehistory does. For most of prehistory, we Homo sapiens shared the planet with several species of upright, tool-making, fire-burning people. “Hominin” refers to Homo sapiens and our closest relatives: to extinct creatures far closer to us than chimps and bonobos, our closest relatives today. It’s likely our Stone Age ancestors ran into fellow hominins on a regular basis, or at least once in a while. Neanderthals: Homo neanderthalensis lived in Europe and the Middle East until twenty or thirty thousand years ago. They looked like us but had protruding jaws and brows, sloping foreheads, and almost no chins. They also had thick bodies, far stronger than ours. And they had larger heads and brains than we do, which may mean they were smarter, though that’s not clear. (Brain size isn’t the only factor governing intelligence.) Neanderthals evolved during the ice ages of the last few hundred thousand years, so they were adapted to cold climates, though they lived in some warm places too. They were mighty hunters and sophisticated tool-maker. Homo erectus: H.E.’s lived in Eurasia and Africa until around 40,000 years ago, occupying a wider range than the Neanderthals. They shared many physical features with their Neanderthal cousins, including thick, powerful bodies and protruding brows and jaws, though H.E. jaws were more ape-like. They were swift, deadly hunters, and they may have been the first creatures to harness fire. H.E.’s made unsophisticated stone tools, though, and they had much smaller brains than we do. So anthropologists think they had limited intelligence, possibly equivalent to small children. It’s not hard to imagine our ancestors finding H.E.’s terrifying—the ultimate savages—with their immense strength and speed, ape-like jaws, and child-like minds. Denisova Hominin: We know almost nothing about the newly-discovered Denisova hominin because anthropologists have only found a single fossil: a juvenile’s finger bone from about 40,000 years ago. Researchers found the fossil in Siberia and identified the new species from DNA. How did all these hominin species interact? It’s likely they killed each other pretty regularly, given the violent nature of the Homo genus. But some interactions must have been friendlier. There’s reason to believe Stone Age Homo sapiens adopted some of the Neanderthals’ stone tool kits, and visa-versa. More intriguing, anthropologists believe Homo sapiens and Neanderthals mated and that many of us have a few ounces of Neanderthal blood in our veins. Genetic evidence also suggests that Denisova hominins mated with both Neanderthals and humans, and that some of us have a little Denisova blood too. Did the various hominins talk to each other? Some anthropologists think Homo sapiens has an all-time monopoly on speech. If so, our hominin cousins probably communicated with expressions, gestures, and a restricted vocabulary of sounds. But it’s also quite possible that some or all of our hominin cousins could talk. If so, perhaps the cousins got together once in a while to chat. Maybe we Homo sapiens just had the best smile. We don’t know what happened to the other hominins. Species disappear from the fossil record all the time, so their extinction isn’t necessarily surprising. But hominins have been around more than five million years, and through most of that time, multiple species was the norm, or at least common. So it is interesting that we suddenly have the planet all to ourselves. It’s likely our ancestors drove the other hominins to extinction, out-competing them and even systematically killing them. If Homo sapiens did have a monopoly on language, our victory makes sense. The Neanderthals and Homo erectus may have been stronger, and the Neanderthals may even have been smarter, but there’s no substitute for language. It allows trade and sharing of ideas, and that leads to better technology and strategy. 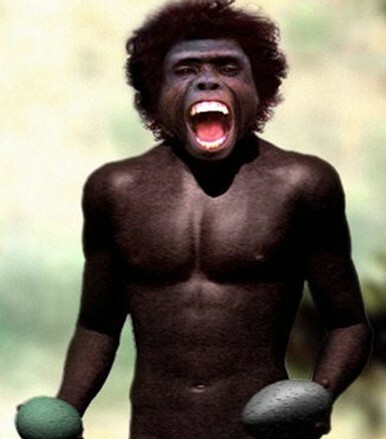 But what if our hominin cousins could speak? What then was our advantage? Before the Dawn: Recovering the Lost History of our Ancestors, by Nicholas Wade (2006): A fascinating account of human prehistory, based largely on genetic evidence. Maps of Time: An Introduction to Big History, by David Christian (2004): Another great book, covering the whole story of creation from the Big Bang to now. It focuses on events that increased the complexity of the universe, such as the evolution of humanity (Part III of VI) and the rise of human societies. 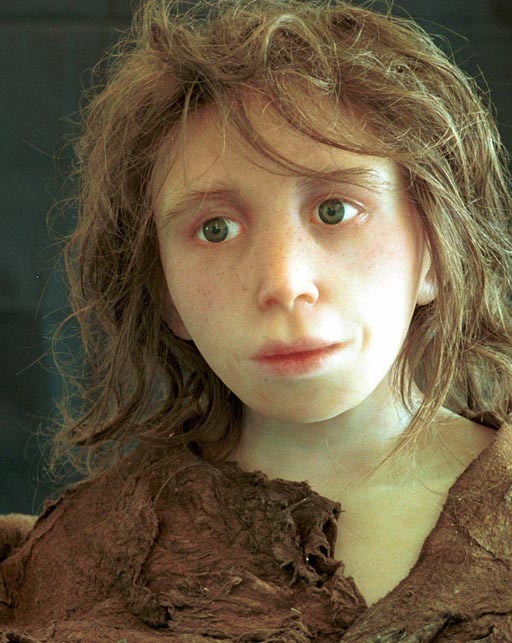 Humans Interbred with Neanderthals, ABC Science, May 7, 2010. The language of the Denisova hominin, a post in “Language of the World,” a fascinating blog by Asya Pereltsvaig, a lecturer at Stanford University and elsewhere. Neanderthal photo by Marcus Gisi, courtesy of Mr. Gisi and the Anthropological Institute of the University of Zurich. Homo erectus photo courtesy of archaeologyinfo.com. Homo floresiensis photo courtesy of The Swedish Museum of Natural History. 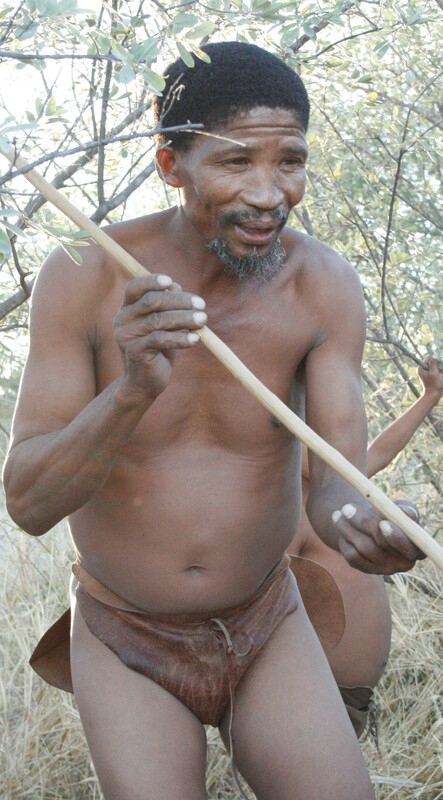 Homo sapiens photo: “Naro Bushmen” cropped, from author “DVL2,” via Wikimedia Commons. © 2011 by David W. Tollen. All rights reserved. Even Tolkien’s Creation Myth is more believable than the established religions of the world. The “music of the Ainur” is string theory. Perhaps Tolkien was able to tap into genetic memory and see the ancient world in his minds eye.